While John and Phyllis Hays are no longer with us, their generosity lives on forever through the John and Phyllis Hays Fund, an unrestricted fund that’s part of our Community’s Endowment. 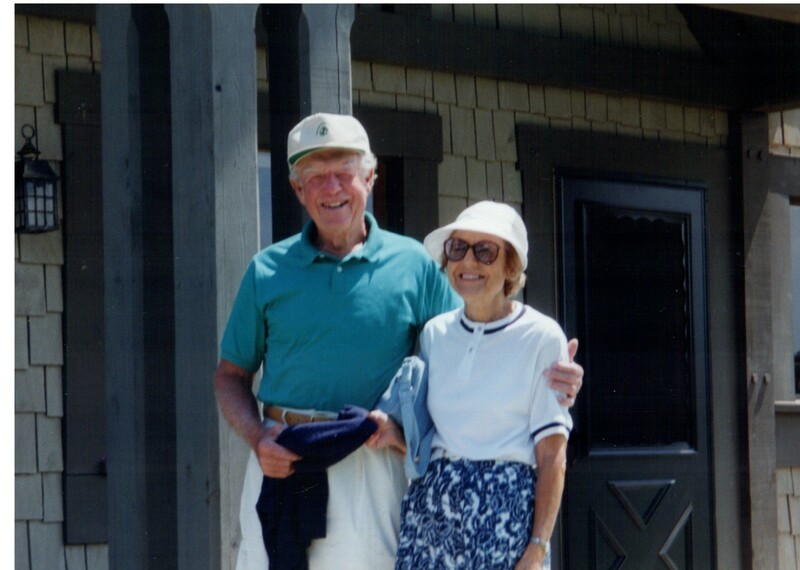 John and Phyllis Hays gave back to the communities they lived in for their entire lives together. For John and Phyllis, that meant Detroit where they first met and later raised a family and made a living, the mountains of Tucson in retirement, and right here in Holland where they spent the later years of their retirement living at Freedom Village. They loved to volunteer for and contribute to causes they cared about. John and Phyllis met in Detroit while at Wayne State University. John was recruited to write Air Force instruction manuals during World War II which moved them out to California, where they began to start their family. While the children were young, they moved back to the Detroit area, living in Royal Oak and Birmingham. John worked as an insurance agent and ran his own business and Phyllis worked as a museum docent at the Detroit Institute of Arts. John and Phyllis were passionate about the arts. John loved volunteering at the museum and cherished his hobbies of painting and photography. Above all, they valued time with their three children, Barbara Boyer, John Hays Jr., and Holly Fuller, and their families and grandchildren. “Family was so important to our parents, whether it was time at church, Sunday dinners, or summer vacations,” recalls Barbara. Some of their favorite memories were up in Beulah at their cottage on Crystal Lake when the whole family was together. John and Phyllis came to Holland in the early 2000s to be closer to Barbara. Barb and her husband, Bill, had lived in Holland from ‘67-’76 when Bill worked at Hope College. They got to know former Executive Director Bill Vanderbilt and his family well through both church and Hope College. Barb and Bill remained close to their Holland friends after moving, and their daughter later graduated from Hope. “Our parents were very sweet people, always involved in one thing or another, and they inspired me to follow suit, volunteering and giving to local nonprofits and church just as they did,” said Barbara. She noted that they were very modest about their generosity, never wanting recognition or attention. 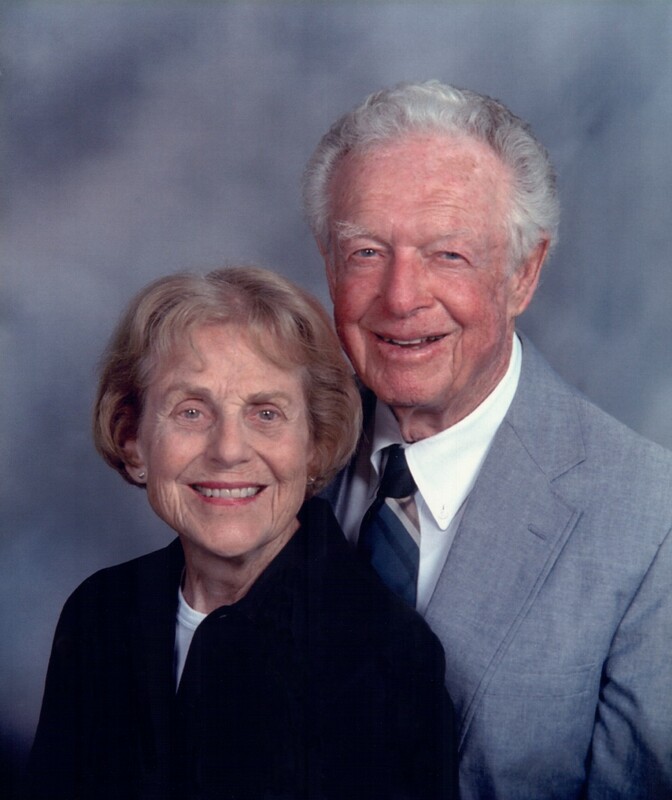 In addition to supporting a variety of nonprofits during their lifetime, John and Phyllis established the Hays Family Scholarship Fund at Hope College, an endowed scholarship to benefit nursing students with financial need. They especially valued education and established 529s, college savings accounts, for their children and grandchildren. Shortly after arriving in Holland and getting to know the Vanderbilt family, John and Phyllis decided to establish a Donor Advised Fund at the Community Foundation, the John and Phyllis Hays Fund. They utilized this fund to give to a number of local nonprofits they cared about, especially arts organizations. They also used the fund to support their church and the watershed organization in the Crystal Lake area where their cottage was. A few years after John passed in 2005, Phyllis established a Charitable Gift Annuity (CGA) at the Community Foundation which provided her with an immediate tax deduction and also provided her with an annual income stream for the rest of her life. She could then use that income stream for her own life expenses, but often re-directed those dollars to local nonprofits if she didn’t need the funds at that particular time. She also continued to make grant recommendations from the donor advised fund she and John had previously established. After Phyllis passed in fall 2016, both funds converted into an unrestricted named fund that’s now part of our Community’s Endowment, leaving a lasting impact and legacy in our community. “The Community Foundation and its Community’s Endowment was one place they wanted to make sure they supported long beyond their lifetimes. They wanted it to be part of their estate giving so that they could continue to give back locally,” noted Barb. Phyllis spent close to twenty years in Holland. “They loved the friendliness of the community and the college atmosphere. They enjoyed going to Hope Academy of Senior Professionals (HASP) presentations and took advantage of the many activities and trips offered through Freedom Village. They loved to travel, but Holland definitely became home. They had many friends at Freedom Village and really made the most of their time here,” said Barb. Featured in the Community Foundation’s Spring 2017 Newsletter. While this was written by CFHZ’s Communications Manager Nicole Paquette in 2017, we believe that stories of generosity are timeless and always relevant.